We offers replacement hardware for all of our weight distribution hitches. 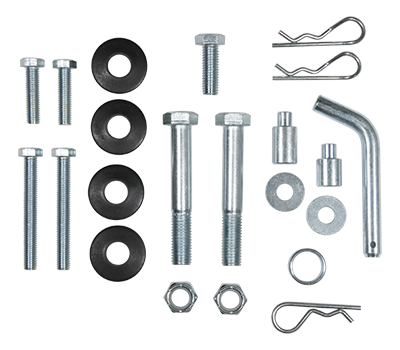 These components include complete sets or individual pieces, such as pins, clips, nuts, bolts and washers. We also offer replacement lift handles and replacement spring bar safety chains.